With the new Tamera, SPIUK offers the best choice for cyclists who need a top-end helmet at affordable prices. Greater safety, light weight, comfort and extraordinary ventilation system that are not easy to find in a versatile helmet that can be worn to roll on the road or the mountain. Excellent ventilation system. 17 large vents. W-FIT 82 rear fitting mechanism. 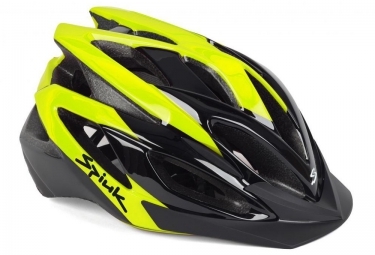 Casque SPIUK 2016 TAMERA Noir Jaune Taille unique clasificado 3.3 de 5 por 3.